With over 400 students and more than 500 residents in its undergraduate and graduate programs, Dalhousie University Faculty of Medicine manages and archives a large number of records. 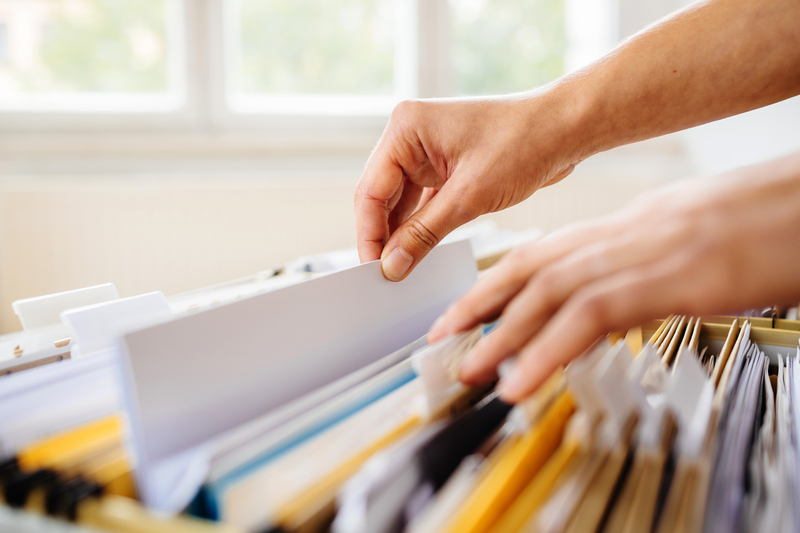 Laserfiche transformed a paper-heavy and inefficient records management process into one that is paperless and organized. From the time a student or resident was admitted to Dalhousie University Faculty of Medicine to the time of graduation, his paper records were kept in a single file folder. This file folder was stored in the department’s locked storage area and moved to offsite storage once the student graduated. Finding a specific document was time consuming since the file folder first had to be retrieved from either onsite or offsite storage and then the actual document would have to be located within the folder. Currently, student and resident records are scanned directly into Laserfiche by a dedicated scanning technician as soon as they arrive at the office or as soon as the student/resident completes the medical school program. Records originating in an electronic format, such as student assessments, are imported directly into the Laserfiche repository. The older records were also back-scanned into Laserfiche. All Dalhousie University Faculty of Medicine records are organized in a single repository. The medical school has developed a workable filing method over the years. Rather than change something that works well, the Laserfiche repository folder structure was created to mimic the existing structure. Every student or resident’s records are stored in his individual folder under the department in which his program of study is housed. 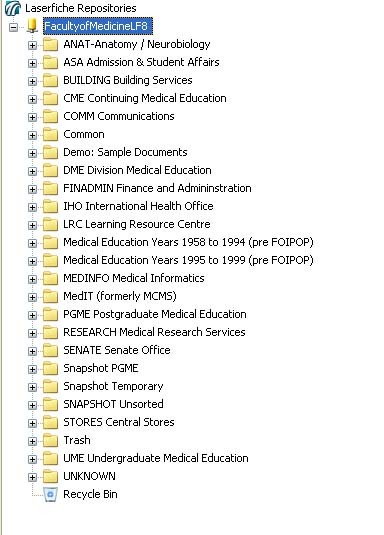 For example, the department of Undergraduate Medical Education (UGME) has its own folder. Within that folder are individual student folders. 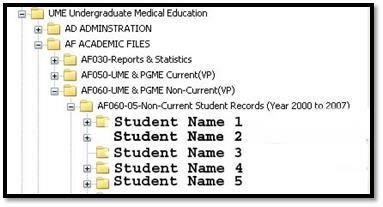 When the student graduates from the UGME program, his folder is moved to the non-current student records folder under the main UGME departmental folder. To create document templates, the Dalhousie University Faculty of Medicine staff identified types of information common to all records, such as the Dalhousie University ID and student/resident name. These common elements were used to generate fields included on each template. Additional fields were chosen to make it easy for employees to search for the various record types. For example, here is what the template assigned to all academic documents looks like. One field common to all document templates is “Retention Date.” This field is populated by the scanning technician during the scanning process. The Dalhousie School Faculty of Medicine has a retention policy that requires most records to be retained for at least 60 years. When a record reaches its retention date, the records management administrator will delete it from Laserfiche. Records are also deleted upon receipt of a signed approval form from the authorized person. Records are organized using Dalhousie’s classification codes and metadata schemes resulting in faster search and retrieval. Physical storage space has been reduced. Only one copy of each document is stored and no record is ever lost. Multiple employees can access the same record simultaneously, as long as they have the appropriate security rights. Organizations from all industries can follow Dalhousie’s best practices for records management. 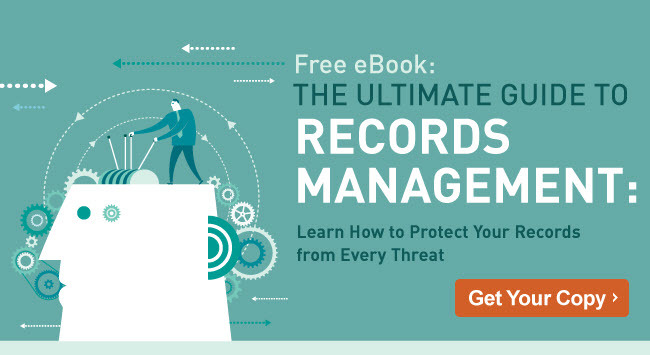 Learn more about managing records electronically and efficiently by downloading the free eBook, The Ultimate Guide to Records Management.